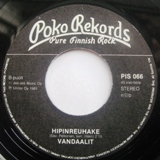 Finish punk scene would most likely not have been as vital if it had not been for Kari “Epe” Helenius and Poko Rekords. In the late 70’s and early 80’s they pumped out records every month. Here are three releases from the early days, two with Vandaalit Betonikolossit and Heikot Sortuu Elontiellä and one with Sensuuri . 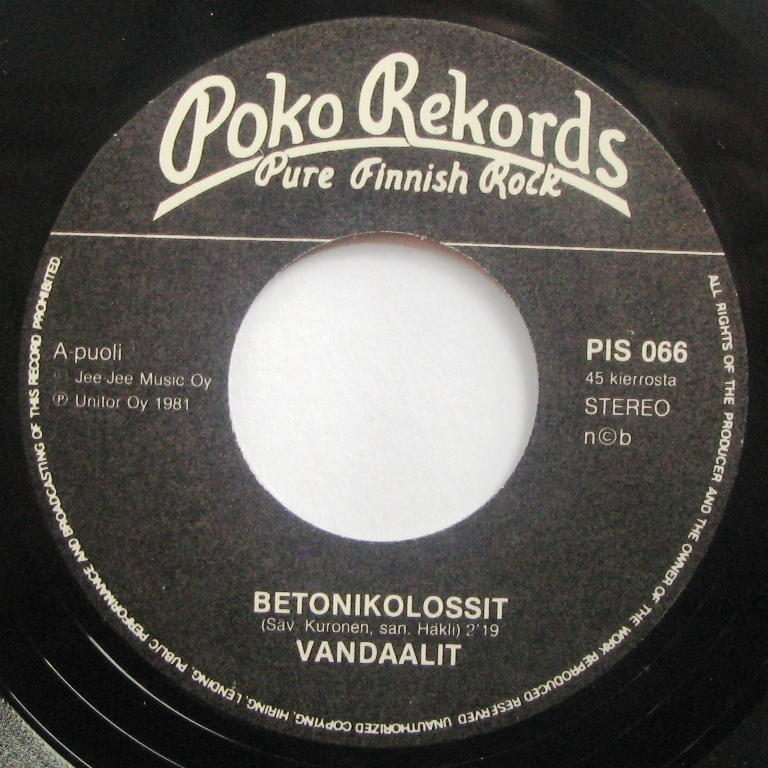 These are not new acts for me but I still keep an eye everything from Poko Rekords that was made in the early days. I rarely get disappointed. I won these actions on Huuto.net which is the Finish on-line action site. I prefer to buy the Finish stuff here as the price is better compared to similar releases on discogs or ebay. The seller was mailmurder from whom I have bought before. The gradings are spot on and the package is great. 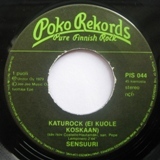 He also have a website where you can order records. 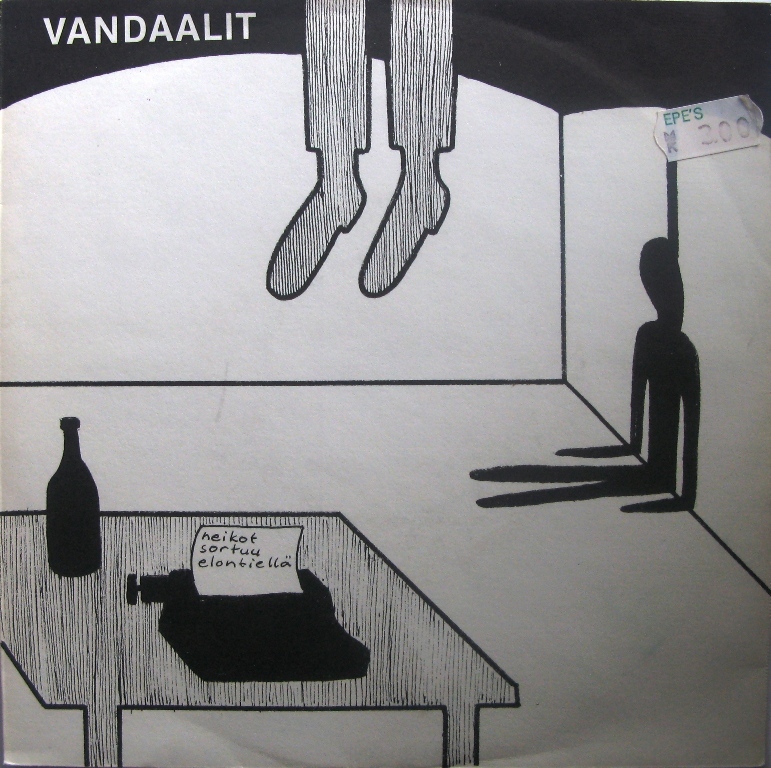 Vandaalit (the vandals) started of a cover band but after hearing Ramones, all that changed. 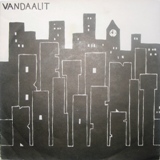 They were first released on the Hilse-LP compilation (must have for Finish KBD lovers) followed by an album on the same label (Hilse-Levyt). 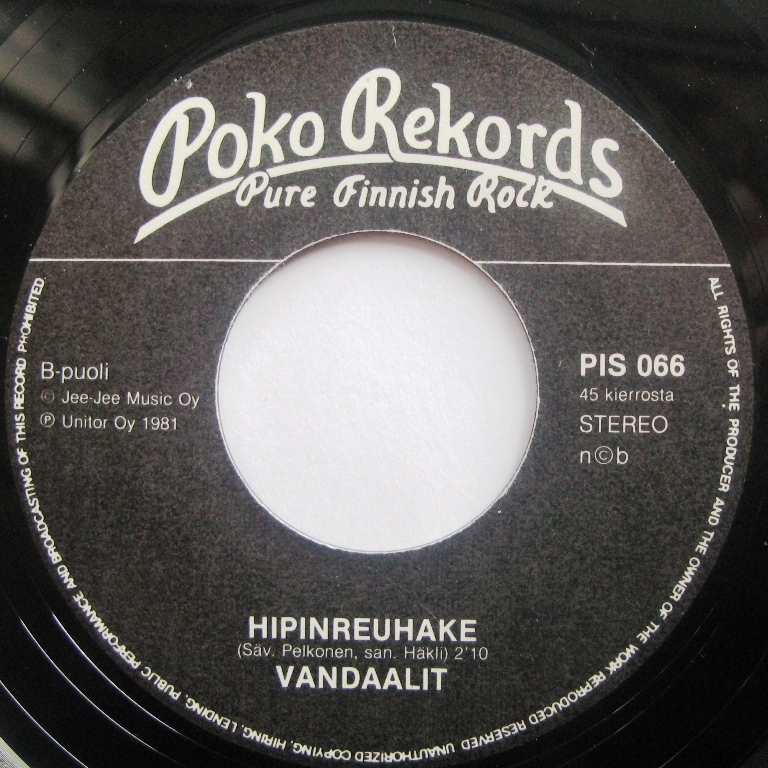 After that they signed Poko Rekords and put of one LP and two singles. 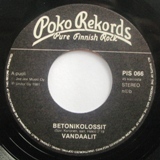 This one with Betonikolossit which means concrete colossi which refers to quick build neighbourhood which large concrete buildings. 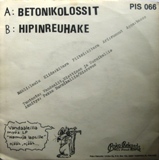 I prefer the A side Betonikolossit (128 kbps) but he B side Hipinreuhake (128 kbps) is really good as well. 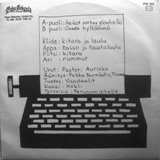 This was the first single on Poko. 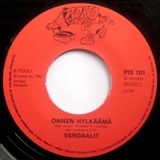 This is the second and final single on Poko Rekords. There is a price sticker on the sleeve and I didn’t want to remove it as it is from the EPE’s record store – thought that was quite cool. I don’t understand Finish but looking the sleeve it seems quite depressing. However – the songs are good. 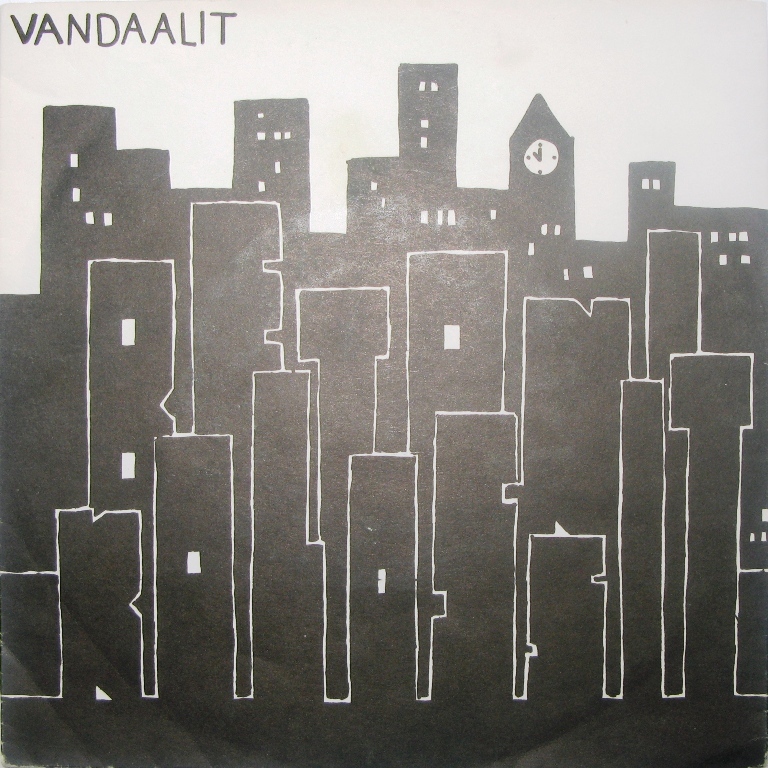 There is no Vandaalit compilation CD what I know about but there are some Soumi-punk compilation boxes released that are quite good. 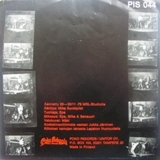 Poko Rekords released a 4 CD box under the sub-label Gaga Goodies just a few years ago worth checking out. 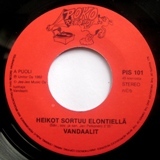 Here is Heikot Sortuu Elontiellä (128 kbps) to get a feel for this record. 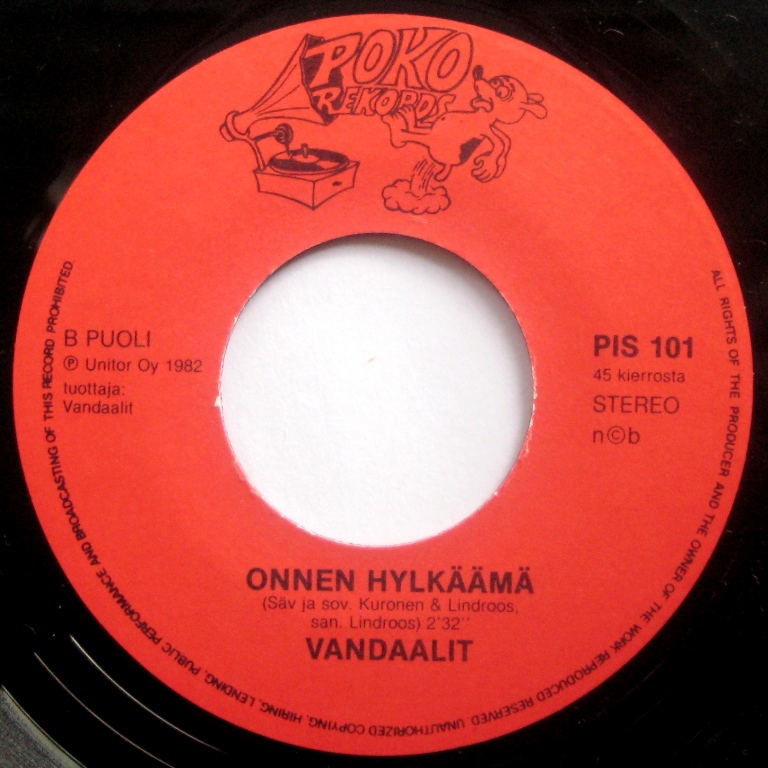 The track on the B side is called Onnen Hylkäämä (128 kbps). 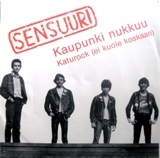 Another band in the first wave of Finish punk, based on Tampere. 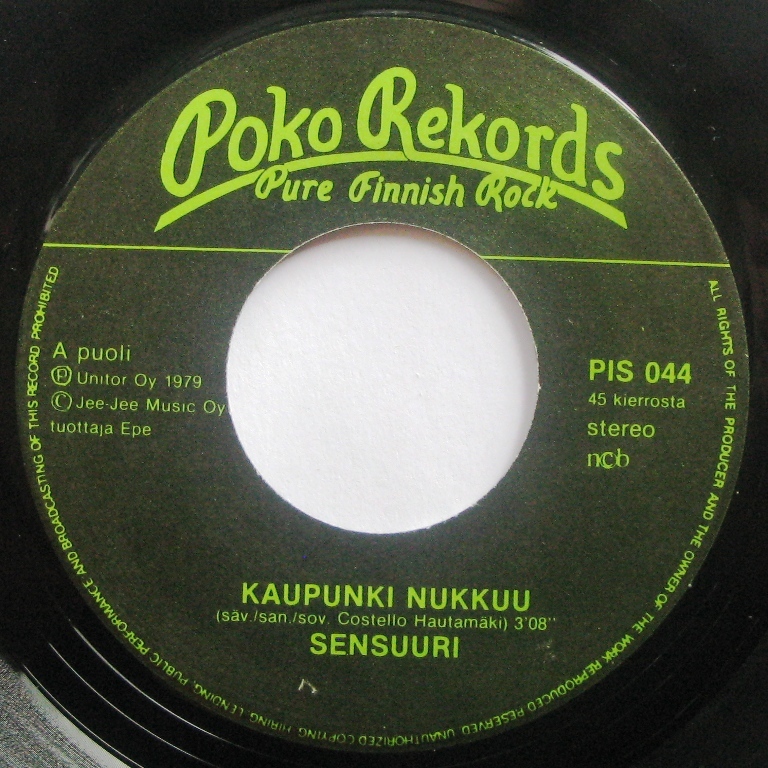 They Started out quite young and Kaupunki Nukkuu was their first release. 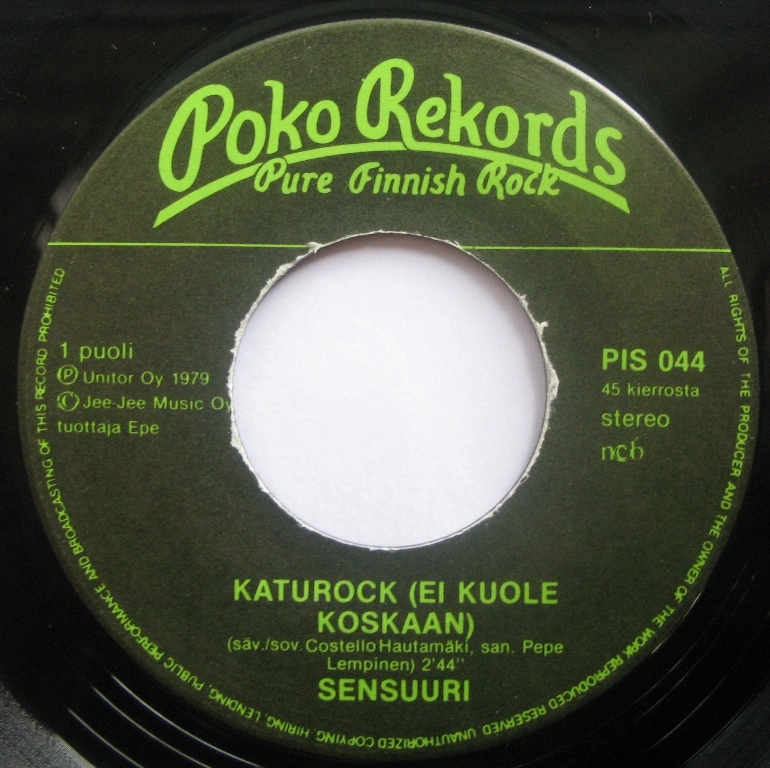 Their second single Kirjoitan Seinään became a real hit in Finland with aggressive music and lyrics. I have not found it in the condition I want – but I will post it as soon as possible. 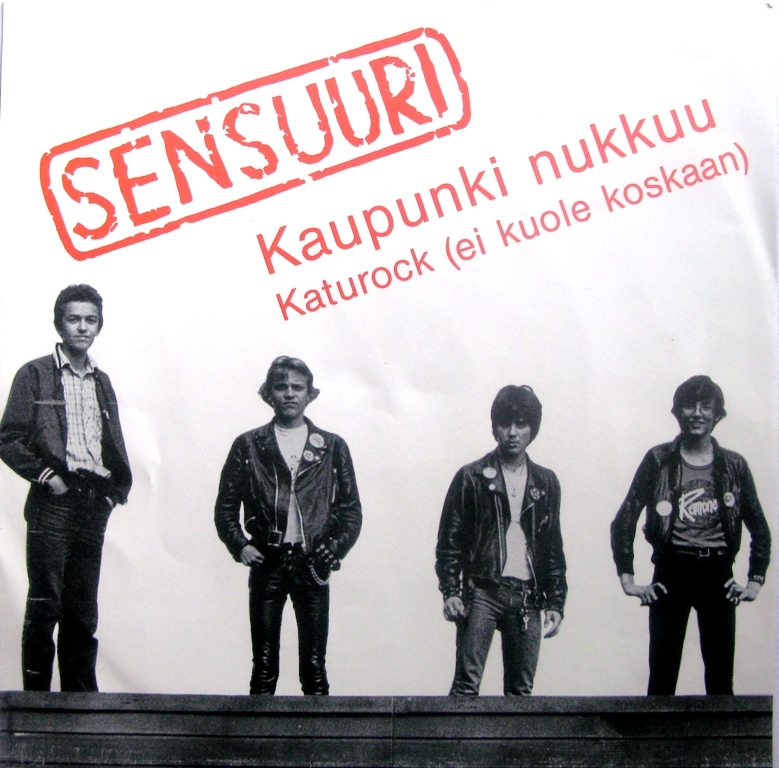 By the way – Sensuuri means censorship.